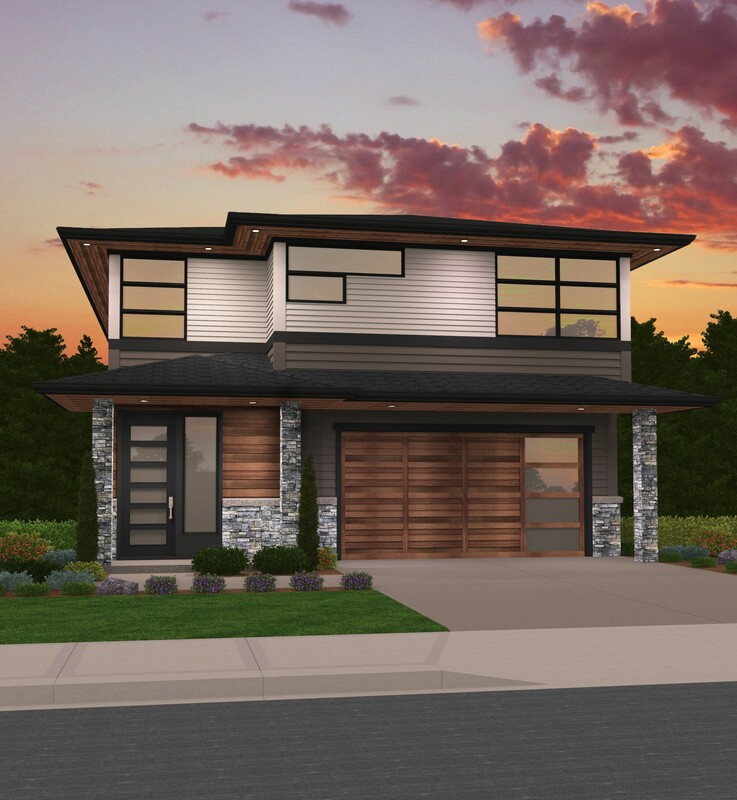 This charming Northwest Modern Two Story House Plan packs all of the essentials of a much larger home into one that has been carefully designed for efficiency and luxury. Enter this home through the foyer and proceed to the open-concept kitchen/dining/great room. The kitchen is L shaped with a corner pantry and center island that faces the dining room and great room, allowing the person that is doing the cooking to stay involved in family activities. The great room features a built in fireplace with windows flanked on either side and access to the outdoor patio. 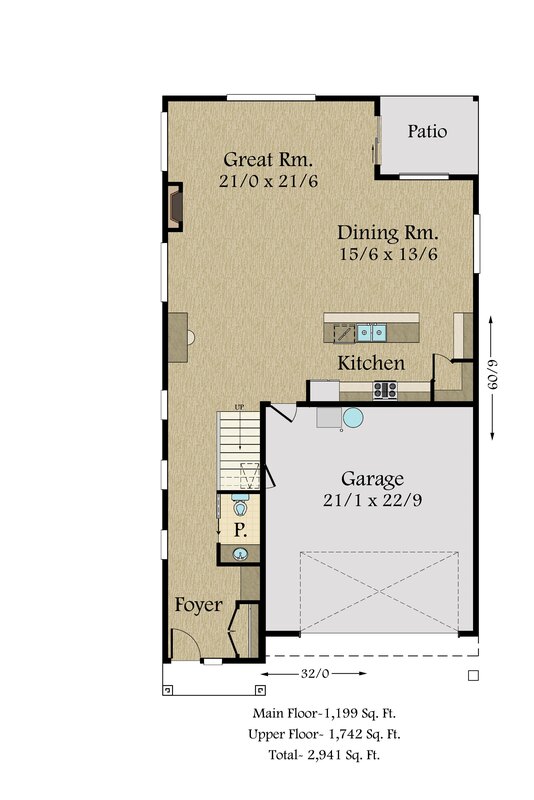 The two car garage can be accessed right off the kitchen, making grocery trips a little easier. On the upper level of this home you will find two spacious bedrooms, a full bathroom with double sinks, the utility room, a large corner bonus room and the master suite, complete with standalone soaking tub and separate shower, double sinks and walk in closet. The master suite is situated at the rear of the upper floor ensuring maximum privacy and the bonus room is thoughtfully placed above the garage keeping noise level to a minimum for others downstairs. 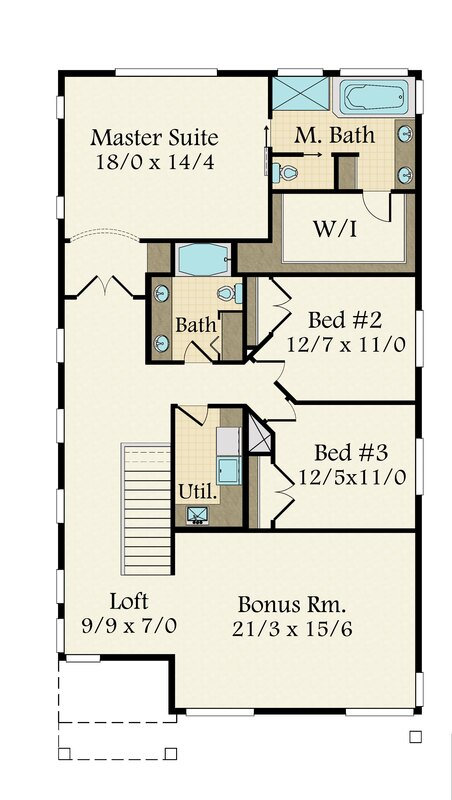 Three bedrooms plus bonus room upstairs.